I would imagine that most of the 63% of adults would like to lose weight... I know I sure do! 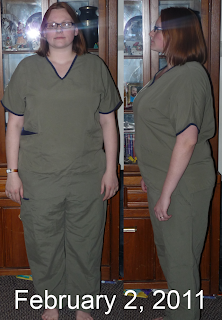 I was given the chance to try A Well Being HCG, and my first round showed fantastic results! 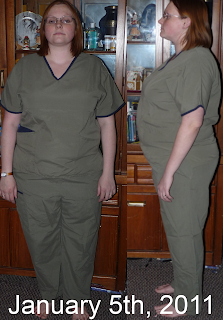 In fact, I lost 27lbs in just 25 days! Totally for real.... I was AMAZED! All I had to do is take 6 drops six times a day and follow the meal plan. The first three days are really fun, you eat as much as you possibly can...all the fatty, greasy bad for you things that usually make you cheat on a diet (ya know, like ice cream, french fries, fast food burgers...oooooh yeah, that stuff). Then, on the fourth day, you start the meal plan where you eat meat, veggies, and fruit and drink tons of water. The instructions are easy to follow, you get details with your order of how much and which veggies, meats, and fruits are allowed on the plan. Want to see the results of my first round of A Well Being's homeopathic HCG? Yep, that's me. No photo editing or anything like that. It is life changing to lose weight like that! You can read other testimonials, too! And of course, if you would like to purchase some HCG drops, you can always get them here. There are also some great other products that can help enhance the HCG drops, such as the Harmony dietary supplement, look for it too! I received free product from the company to conduct this review. All opinions are completely mine, and completely honest. Your experience with this product may or may not be the same as my own. I definitely appreciate you for sharing your success about hcg drops. It's unavoidable that people tend to disagree also because they are skeptical about trying it. We can't force them, all we can do is share our success and let the others judge it.